Commercial biochar production equipment development is probably not a very collaborative process. Project developers and entrepreneurs generally need to protect their IP. But there are many open source technology projects developing around the world. Community groups interested in biochar production collaborations, may want to benefit from ‘cloud-sourcing’ ideas, knowledge and support. If you want to present your biochar production plans and ideas via this site, then please get in touch. Pages can also be dedicated to biomass sourcing and preparation or post-production processing and product marketing. Your ideas are welcome. This page pulls in posts related to all aspects and scales of biochar production in NZ based on the categories and tags assigned to the post. Please refer to the About Biochar – Biochar production page for more information about producing biochar. 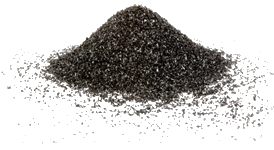 Other resources on this site related to biochar production may be found in the Marketplace page or in the Users forum.